About two weeks ago, I got to see touch and put the Sony Zeiss FE 35 mm f/1.4 ZA on my a7s. While it wasn’t possible to go out and shoot with the pre-production model I knew it would find a place in my bag as soon as it is released. Its a very exciting lens for still shooters and film makers alike,with a clickable and de-clickable aperture ring on the barrel. Its not a diminutive lens by any means like the Sony Zeiss FE 35mm f/2.8. As you would expect from a Sony the FE 35 mm f/1.4 ZA is solidly built with Zeiss coating and optics. I can definitely see my self photographing and filming luxury architecture and real estate with this prime lens. Here’s some news, reviews and a video about it from the folks over at Daily Camera News. First impressions, tests and hands-on previews now available for the Zeiss FE 35mm f/1.4 ZA wide-angle prime lens. 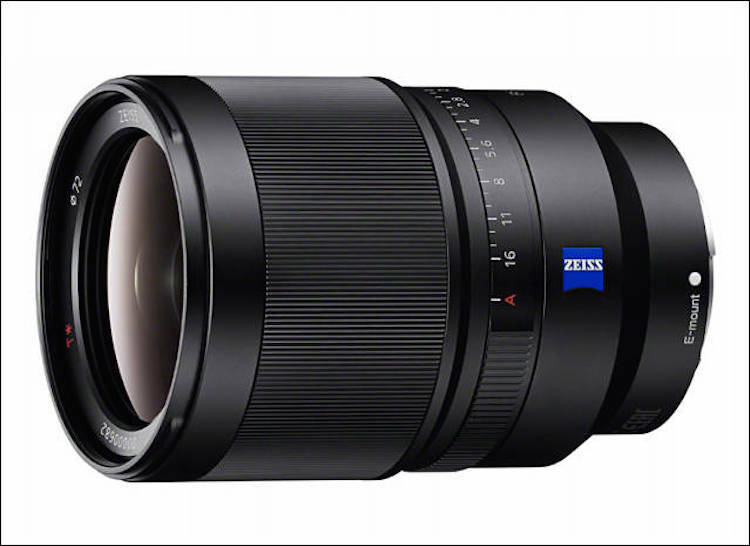 Steve Huff has previewed the Zeiss FE 35mm f/1.4 lens and say: “This is TRULY the 1st native “WOW” lens for the Sony full frame FE system“. Amateur Photographer andSLRgear also tested the wide-angle prime mirrorless lens. See their first impressions below along with several hands-on preview videos. Zeiss FE 35 mm f/1.4 ZA lens MTF graph and sample images can be seen here in our previous coverage. Full size 37 image samples at Dpreview. For me, this is TRULY the 1st native “WOW” lens for the Sony full frame FE system. It easily surpasses the 55 1.8 for me as well as the 35 2.8 that I have been using since the launch of the A7 system, and those are both beautiful lenses when it comes to image quality. The 35 1.4 has such a beautiful character and rich rendering. Optically it isn’t perfect, but the chromatic aberration is slight and I would actually rate the vignetting as a nice feature. In terms of resolution this lens is difficult to fault, and it is certainly one of the sharpness lenses we have tested for the Alpha 7 series, although the 90mm f/2.8 macro lens looks like it may well offer some competition on that front. Having used the Zeiss Distagon T* FE 35mm f/1.4 ZA lens for a few days, I am left with the impression that this is a lens with character. From the resolution and bokeh to the build quality and aperture ring, this lens has a certain something about it that makes it stand out from the generic 35mm lenses that roll off production lines. Image quality from the new 35mm ƒ/1.4 lens is very good, with excellent sharpness — though being an ƒ/1.4 optic, there is some softness, especially in the corners, when shot wide-open. Other optical qualities such as CA and distortion control are also very good, and while vignetting is understandable strong at ƒ/1.4, it’s less of an issue at smaller aperture. Overall, Sony has produced yet another very good lens for the A7-series cameras — a super-solid lens with excellent build quality, a nice feel and great image quality. Sure, it’s significantly larger, heavier and more expensive than the earlier FE 35mm ƒ/2.8 lens, but if you’re a professional or advanced enthusiast photographer in need of a superior low-light lens for the your full-frame Sony mirrorless camera, this is the one to consider. Zeiss Distagon T* FE 35 mm f/1.4 ZA lens has a 9-blade circular aperture plus three aspherical elements and a Zeiss T* coating. It uses a Direct Drive SSM focus system that promises quiet and fast focusing. The lens has a dedicated aperture ring with a button that can switch it from smooth to ‘clicky’. As one would expect from a high-end lens, the 35mm F1.4 is also weather-sealed. Zeiss Distagon T* FE 35mm f/1.4 ZA wide-angle prime lens will ship in April for $1,598.